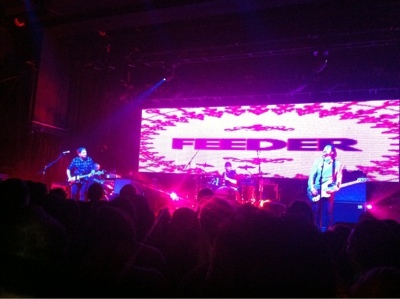 Tonight we went to see my fave band Feeder live. It's one of many times I've seen them live, this time in Manchester. However I'd like to say thank you to the bands bass player, Taka. I had some trouble with my ticket not being delivered. The box office were refusing to re-issue me a ticket so I tweeted Taka my situation in the hope he'd see it and help and he did just that. Proof why they are such a good band, they care for their fans and write some cracking songs.